Focusing strictly on the health and wellness of felines, Kingstowne Cat Clinic is your destination for any and all veterinarian services. 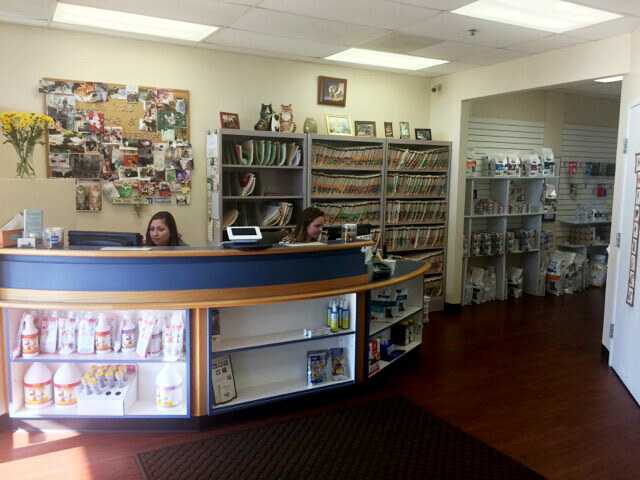 We’re a full-service cat clinic in Alexandria, VA, administering wellness exams, surgery, dental care and more. We also offer boarding and in-home euthanasia. We’re here to help your cat live a happy, healthy, full life! Making sure your cat lives a long and happy life starts by making sure they’re in good health. When it comes time for a vet visit or checkup, make sure you’re bringing your cat to Kingstowne Cat Clinic. We’re more than just a vet: we’re specifically a cat vet in Alexandria, VA, dedicated to serving the unique needs of felines throughout every stage of their lives. From vaccines and exams for your new kitten, to teeth cleaning or surgery for your adult cat, we’re ready to administer the care needed to ensure they’re in the best possible health. Our staff is full of cat lovers and well-educated feline veterinarians, making us well-qualified when it comes to administering care. We specialize in annual wellness checkups and always insist on the importance of proactive health. Our fully-equipped clinic is also able to tackle the pathology and testing needs that come with cat care. If your cat needs surgery, rely on our experienced team to deliver it. And, if you need to board your cat, you can trust us to look after them while you’re gone. We’re even here at the end of your cat’s life, when it’s time to say goodbye. Our goal is to be the cat veterinarian in Alexandria, VA you trust for absolutely everything your cat needs throughout its life. We’ll make sure they stay purring each and every day. As a cat-only clinic, our focus is 100% on your feline’s health. We also present a more comfortable environment that’s specifically tailored around the needs of cats. We have the ability to perform surgeries and employ a staff that’s well-trained in all feline-specific surgeries. Our knowledge and understanding of feline health is always expanding, and we frequently attend conferences and seminars to stay current. 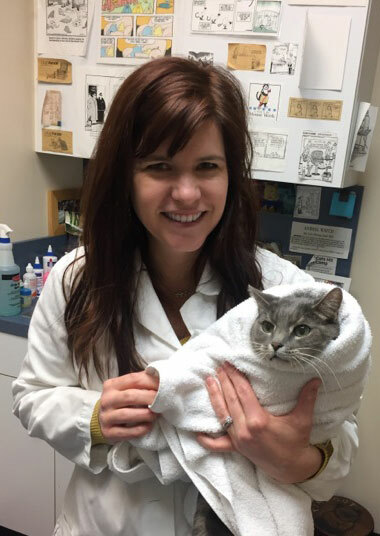 Owner Laura Mosoriak is a certified Doctor of Veterinary Medicine (DVM). Our clinic is accredited with the American Veterinary Medical Association (AVMA) and the American Association of Feline Practitioners (AAFP). We strive to offer fair, upfront, honest pricing at all times and we make sure you’re getting the best possible care for your cat. Your cat deserves the best health and the highest quality of life. That starts with the proper veterinarian care. Kingstowne Cat Clinic welcomes your feline with open arms and expert care!